Nearly 20 years ago, in October 1998, China signed the International Covenant on Civil and Political Rights (ICCPR), which provides that “[e]veryone shall have the right to freedom of expression; this right shall include freedom to seek, receive and impart information and ideas of all kinds, regardless of frontiers, either orally, in writing or in print, in the form of art, or through any other media of his choice.” China has yet to ratify the ICCPR. A few minutes before writing this post, China Quarterly announced that Cambridge University Press would repost the 315 articles that had been removed from its website. This is good news indeed for freedom of expression, but people should refrain from congratulatory popping of proverbial champagne corks. Now is the time to reflect on the latest skirmish in the war against freedom of expression and for vigilance as we look to the future. The China Quarterly editor’s statement released today explained that the decision to repost the articles came “after a justifiably intense reaction from the global academic community and beyond.” This initial statement indicates that the outcry from academics, journalists, NGOs, and others over the past few days was heard and heeded. Especially those, like myself, who have the luxury of tenure at academic institutions that support freedom of expression have no excuse but to be forthright in our criticism, especially when our counterparts in China face severe repercussions if they speak out. Now is not the time to pull punches. But a response to a shrinking space for expression in China should not be left to civil society alone. Foreign governments should also step up. As a signatory that has expressed its intent to ratify the ICCPR, China has an obligation to refrain in good faith from acts that would defeat the object and the purpose of the treaty. Foreign governments thus have a principled position from which to press China both to respect the rights enumerated in the ICCPR— including to freedom of expression—and to formally ratify the covenant. One school of thought is that the repressive atmosphere in China will relax markedly after the Nineteenth Party Congress finishes sometime this fall. I fear any such optimism is misplaced. The current PRC leadership has opted for a multifaceted campaign of repression, with censorship of academic publications being but one of the more benign tools. Eva Pils has, for example, documented the use of forced drugging of lawyers who were rounded up in the ‘709 Crackdown.’ As China continues to repress, those of us who have the freedom to do so must express. To voluntarily stifle our own voices would be a disservice to Liu Xiaobo and others who have given their lives in support of fundamental human rights. 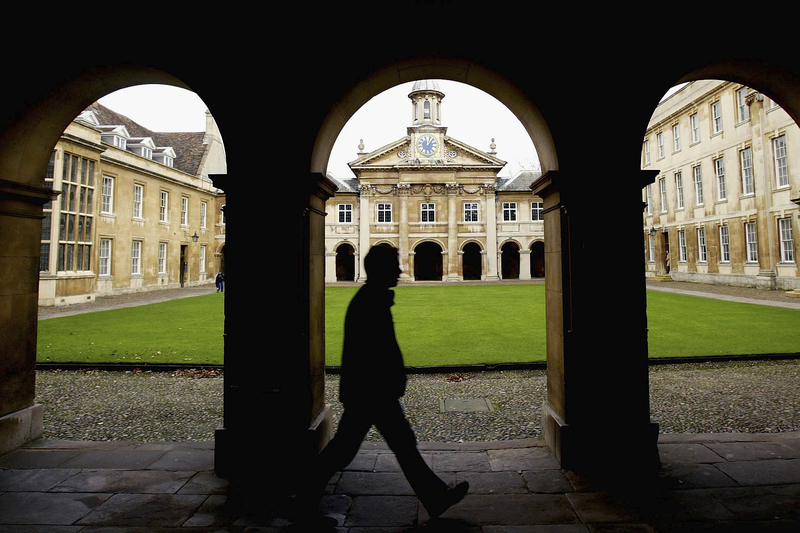 The word today is that under pressure from the editors of China Quarterly, Cambridge University Press has reversed its decision to cooperate with Chinese censorship. That is a good thing, if true. But irreversible damage has been done to Cambridge’s reputation. By agreeing to block access to some articles for some readers, the press broke faith with authors, who expect their scholarly work, once it has passed peer review, to be made available to the academic community without censorship; with readers and libraries, who have paid for access to the scholarly work that they need to consult; and with the publication’s editorial board, who donate their time to assure the quality of the work the journal publishes. Who in future can submit an article to any Cambridge journal, or submit a book manuscript to the press, with confidence that the publisher will always preserve the integrity of the work? That’s why I sent a message to the entire editorial board of the China Quarterly this morning, urging them to seek a new publisher who can commit to protecting scholarly discourse from political interference. I gave them the name of one such publisher. I hope the board will follow up this suggestion. Academic freedom of inquiry—which encompasses the freedom to publish the results of academic inquiry—is an absolute. Academic information is not opinion. It isn’t hate speech, it isn’t by design subversive. It isn’t even unqualified (though I just said it is an absolute). You have to pass peer review, and in most (but not all) cases you can’t publish classified information. Of course reasonable governments declassify “sensitive” stuff over time—the U.S. has declassified information relating to the C.I.A. in Tibet, the U.S.S.R. declassified its documents relating to the Cuban Missile Crisis, and so on. Even classification is not intended as embargo everlasting. The issue for Cambridge University Press (and by implication the digital archives JSTOR, ProQuest, and so on) is what it means to preserve that absolute across national lines. Is there an analogy here with the incident last March in which Amazon was pressured by organizations in Israel and Germany to stop selling books written by Holocaust deniers, and Amazon appeared to comply by removing such books from the online stores directed at Germany, France, and Italy? The issue at the German end was enticement to anti-Semitic or hate-fueled political movements. They consider the academic issues settled (after half a century of investigation by a worldwide scholarly community), and Holocaust denial a political, not an academic, statement. But there are no provisions of the European laws that provide actual penalties for sale of such books by foreign presses or their outlets, even if political pressure might be applied. If Amazon had considered itself dedicated to the pursuit of knowledge (which it doesn’t pretend to be), it might have resisted such pressure. But it has no such mission. Cambridge University Press is not Amazon, and it has no obligation to behave as if it is. The academic journals supported by CUP do not publish Holocaust deniers, because they can’t pass the basic scrutiny of method and evidence. By definition, the works published by C.U.P. are academic statements, not political. In the U.S. and the U.K., academic publishing has a mission to distribute the product of impartial, careful research and analysis, for the betterment of the world. Its entire credibility rests upon behavior consonant with the mission. There is no such thing as protecting the right to publish some truths by concealing some others. Academic presses have already weeded out political propaganda by application of scholarly standards. What passes their delivery bays or their digital distribution portals is either freely distributed knowledge, or it isn’t. Presses who cannot get the Chinese import authorities to accept this must simply restrict themselves to distributing to free readerships outside China. The German government fears its society will be destabilized by lies. The C.C.P. fears its government will be destabilized by facts. That seems to be the first fact it would like to obscure. Self-censorship is self-obviation. That is the case for every press pretending to academic integrity. Success for the side of freedom would be the neo-totalitarian state led by Supreme Leader Xi allowing C.U.P. and China Quarterly uncensored into China. Is that possible? To some, such a result is not unthinkable because the C.C.P. does not fear the English language work by foreigner scholars since such work would have a very narrow readership. I would welcome that as a victory. But what if the C.C.P. decides to ban C.U.P. and CQ and perhaps even sues for breach of contract? Does that leave Chinese people better off? As we all know, many authors, including me, have permitted some censoring of their work to get their material published in Chinese in China. For the cause of freedom or the sharing of knowledge, which is more preferable for Chinese, international authors acting in insisting on all or nothing or compromising with the censors and accepting some censorship? Tolstoy, et al., compromised with the censors and produced great work. I am not arguing for compromise or censorship. I signed the petition asking C.U.P. to do what C.U.P. now has done. But the story is not over. And I never held compromise against international authors who compromised, which is a self-serving assertion on my part. Do we know what liberal Chinese intellectuals would prefer international authors, C.U.P. and CQ to do? Shouldn’t that matter? The C.U.P.’s decision to stand up to censorship made me feel pumped for a second, but then worried me. Without any leverage on the authoritarian state, foreign publications can only score moral victories by defying requests for partial self-censorship, while risking total censorship from the authorities. In the past four years, whenever I went home to Beijing, I was blessed with a V.P.N. from an Ivy League university, which not only gave me access to the indispensable Facebook and Gmail but also provided me with many key online library resources that made some of my research work possible. However, I also know that my friends at Chinese universities do not usually enjoy abundant academic resources in English because most of their coursework does not involve looking up foreign publications. Therefore, in China, foreign publications have a niche readership—the students and scholars who engage with English materials in their fields and whose institutions are willing to foot the relatively expensive bill for articles in foreign academic publications. Practically speaking, censoring 315 China Quarterly articles on certain “sensitive topics” does far less damage than lying about them in schoolbooks and sanitizing history on Chinese media. After all, the purpose of making these 315 articles available in China is not to teach 1.3 billion people the truths that they deserve to know; these articles would be lucky to have as many as 130 readers in China. And even the Chinese academics who do read the China Quarterly are not very likely to base their research on any of the English articles that cover “sensitive topics.” Just imagine a Chinese scholar applying for Chinese state funding from a Chinese university to buy access to academic papers that present the latest findings by unfriendly foreigners that hurt the feelings of the Chinese people. Furthermore, if people in China are curious enough, they can often be resilient against censorship and find out information on the banned topics. It may not be cutting-edge research in the China Quarterly, but they can access the basic facts if they try hard enough. Contrary to the belief that Chinese censorship is a complete blackout of information, the C.U.P.’s censorship would have made little difference in China—the brave and the curious will always look for and obtain forbidden knowledge, while the fearful and the relatively close-minded will continue to look away even if truth is within reach. After all, the C.U.P. was asked to pull articles that very few scholars would dare to try to access in the ever-tightening academic environment, and those 315 articles were not as big a deal as some claim. Of course, such actions might involve a slippery slope. If the C.U.P. can be asked to self-censor 315 articles that won’t have a big effect on its Chinese readership, it can be asked to censor 3,000 articles on other topics that matter. Such a trend is very likely based on the increasing scale of censorship in the past few years, including bans on keywords and topics that normally aren’t considered sensitive. Maybe it is best to push back when censorship starts to involve topics that are not “traditionally” banned? Now, for foreign publishers, no choice is both moral and practical. However, when it comes to assigning blame, we should not put too much pressure on foreign publishers like C.U.P. After all, if there is one thing that is unequivocally immoral in this battle over censorship, then that is China’s demand for censorship. Returning from vacation, I was first appalled to learn of Cambridge University Press’s acquiescence to Chinese government demands to censor China Quarterly articles, then (a few emails later) delighted to learn that the Press had reversed its decision after vigorous academic protest—including James Millward's eloquent and persuasive open letter. That the international academic community was able to speak with one relatively unified voice in favor of freedom of expression is heartening at a time when the American political world is riven by such deep and distressing divisions. We should not, however, fool ourselves into believing that this is some seminal victory over Chinese censorship. Dealing with Chinese censorship is certain to be a protracted struggle. The Chinese state will surely respond to CUP's latest decision, and each of us will have to decide how we assist our Chinese colleagues to access the world of information beyond the Great Firewall. The struggle for academic freedom will be intense, protracted, and many faceted. It will involve students (including Chinese students) and institutions abroad as well as in China. There will be all sorts of appeals to avoiding "hurt feelings," the need for mutual respect, and claims of national sovereignty. But at stake here is the honest quest for an accurate history of the past and an openly contested assessment of the present. This is a battle we cannot avoid. We all know the alternative that comes with a conspiracy of silence.